Creating an Invoice from a Booking is super simple by following the below steps. 2. Client: The client added under the General Details page will be the client whom the invoice is automatically addressed to. 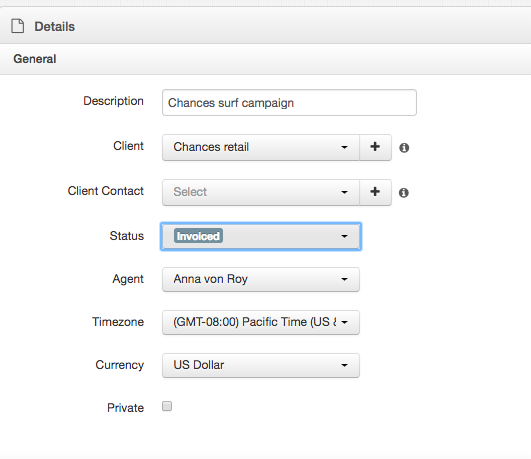 However, if the client receiving the invoice, is different to the main client on the booking, you are able to add another client into the booking under the Invoice tab, the drop down is next to Invoice To. 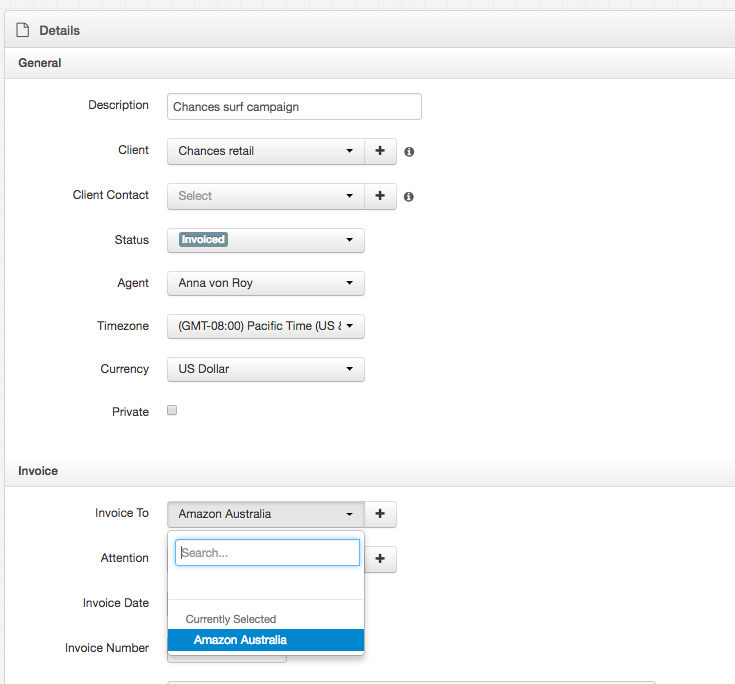 Remeber to save once you have added a client in the Invoice To field. 3. 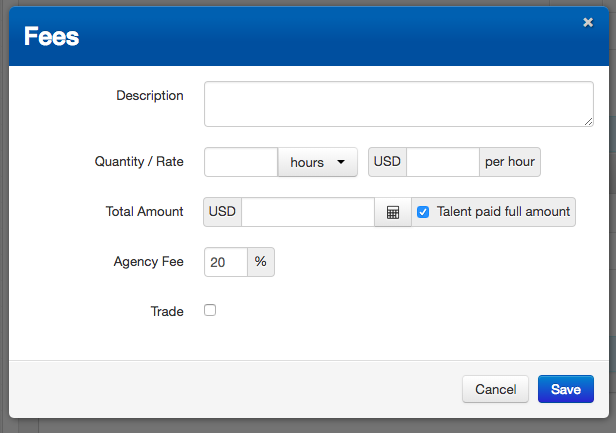 Fees: The fees for the Invoice are added under each talent seperately. So there need to be talent added to a Booking in order to add fees & expenses. 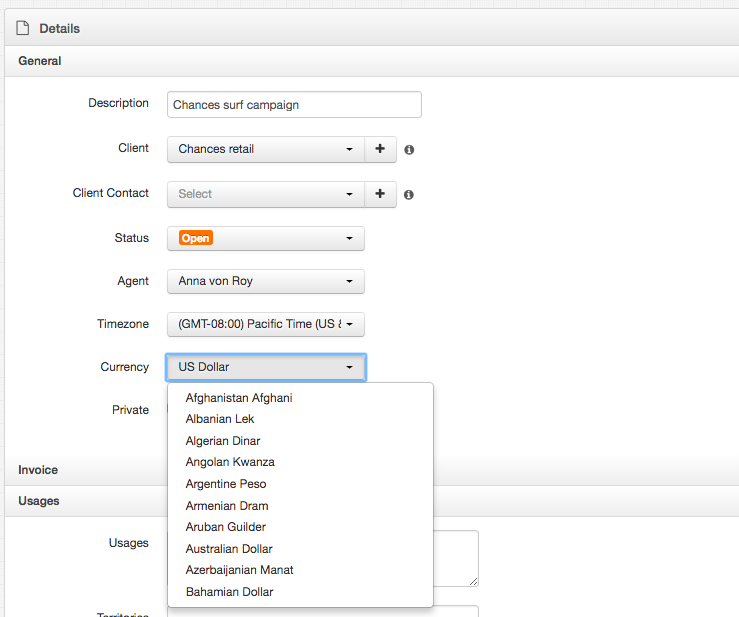 Click on the talent name and fill our the fees and/or expenses fields. 4. The Booking Status in the General Details needs to be set to Invoiced in the and the page saved in order for the Invoice number and Xero/Quickbooks to automatically be populated. The invoice date will also set itsself - however you are able to manually change that if you wish. 5. 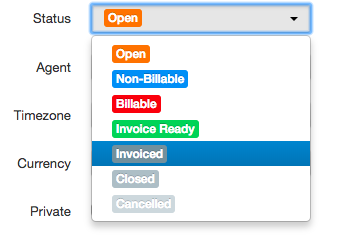 You are able to insert a PO and/or Job number under the Invoice details tab and this will appear on your invoice. 6. Once you have made sure everything has been saved and all the fees are correct, you are able to see the invoice under the main Invoice tab. 7. 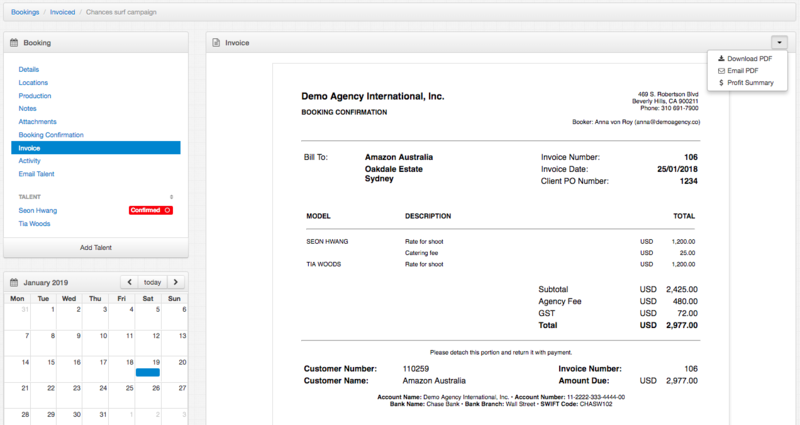 From the invoice tab you are able to email the invoice as a PDF, download the invoice as a PDF and view a profict summary of the booking, by clicking on the drop down menu on the top right of the Invoice window.